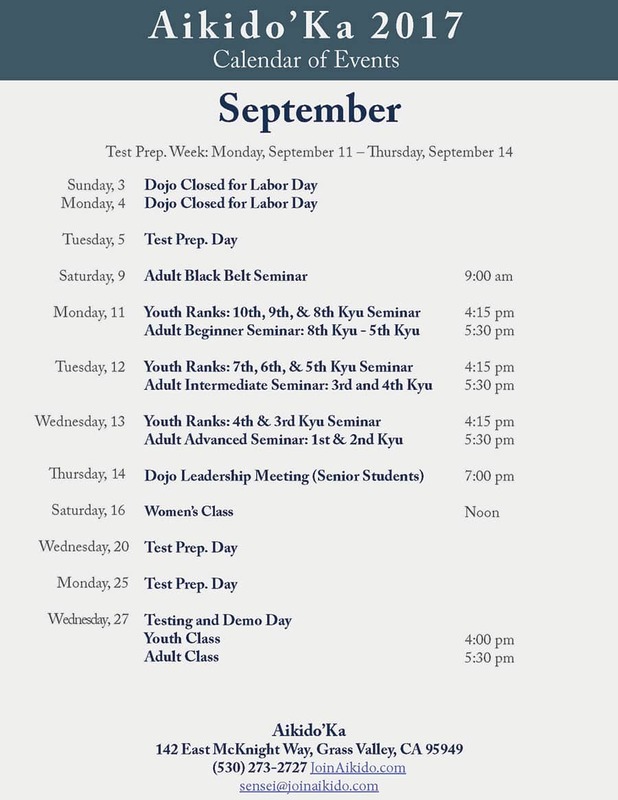 Friday, 6 – Sunday, 8 — I’ll be attending Michael Friedl Sensei’s seminar at Aikido Central Coast in San Luis Obispo. If you want to ride with me, let me know. Mark will be in town, so we’ll be having our regular weekend classes. Friday, 22 – Sunday, 24 – The 3rd Annual Friendship Seminar is happening at Aikido of Roseville. The Senseis are Chuck Hauk, Dan Messisco, and Yoshi Shibata. I am planning on attending the entire seminar, as I expect Mark is planning. So, we won’t be having classes on Saturday or Sunday. 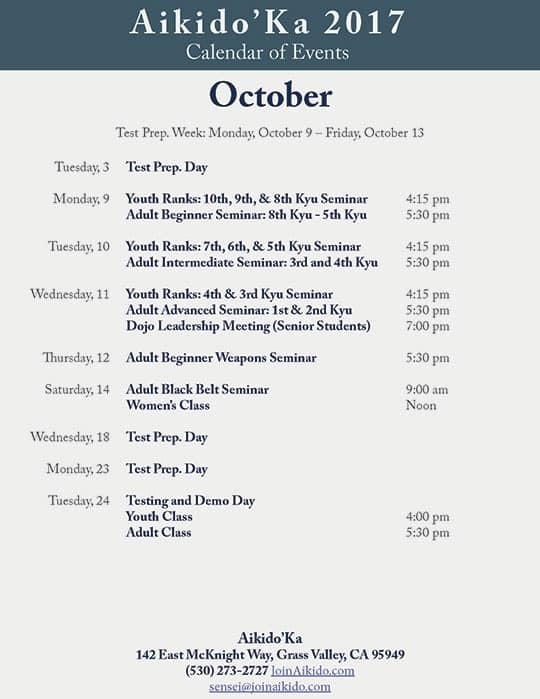 Friday, 29 – Sunday, Oct. 1 – 10th Annual Tahoe Aikido Seminar, with Linda Holiday Sensei and Richard Strozzi Heckler Sensei. I am planning on attending the Saturday session of this seminar. I expect that Mark will be attending the entire seminar. So, we won’t be having classes on Saturday or Sunday.